The Boettcher Foundation has been providing nonprofit grants in Colorado since the organization was founded in 1937. We have distributed grants to some of Colorado’s most well-known nonprofit organizations as well as those that serve some of the state’s smallest communities. We take great pride in the fact that we have funded nonprofits in each of Colorado’s 64 counties, and our staff has visited every single county as well. From shifting demographics to rapidly evolving technology, heightened funder expectations to increased community needs, the pressure for Colorado’s nonprofits to demonstrate and accelerate impact is greater than ever. Organizations struggle to create and maintain a stable foundation upon which they can grow and innovate. We are proud to support Colorado nonprofits by helping to provide the support that will allow them to further their missions and be catalysts for positive change in our state. 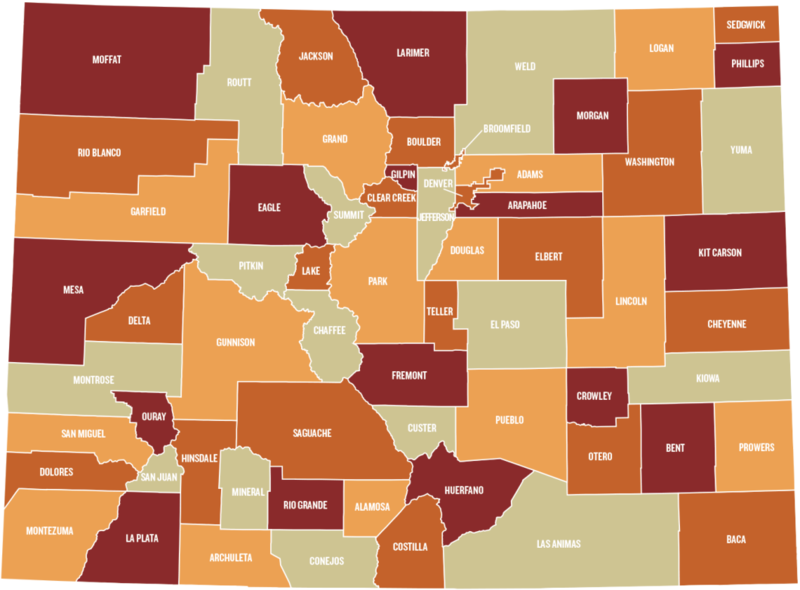 The map below shows the number of grants and total grant dollar amount provided by the Boettcher Foundation in each Colorado county through 2018. If a nonprofit grant provided statewide funding, it is recorded in the county where the nonprofit is based, meaning that some counties are overrepresented in funding due to a concentration of statewide nonprofit headquarters. Visit our overview page to learn more about our grants.